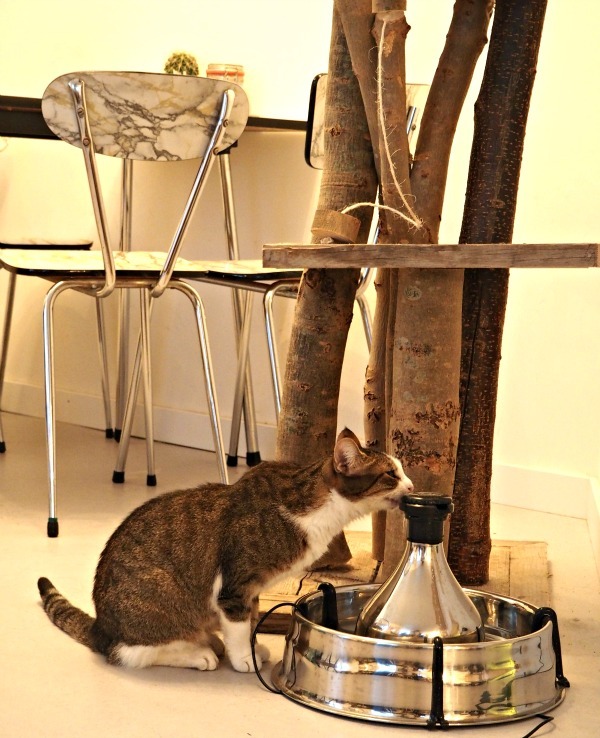 Welcome to Kopjes, the first cat café in Amsterdam! 'Kopjes' is a Dutch word meaning both 'cups' and 'head butts'. The perfect name for a cat café, right? 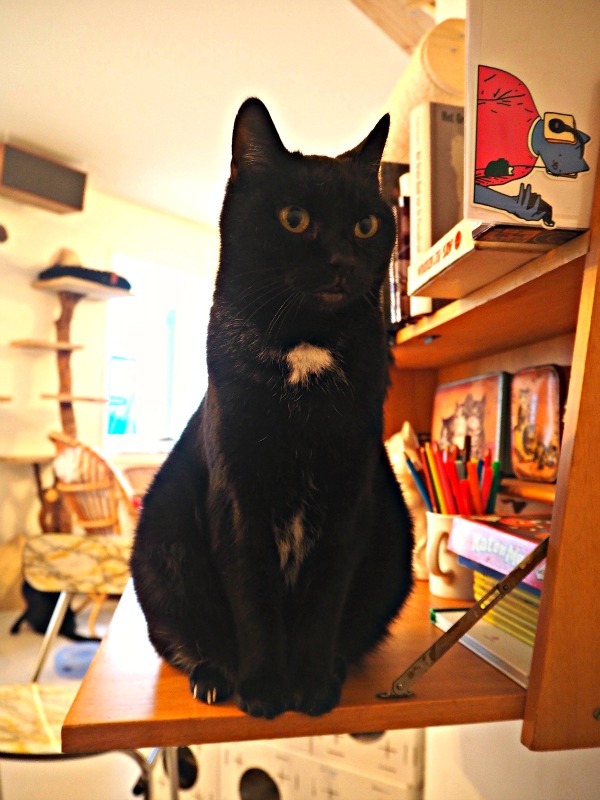 Last Wednesday, I spent the afternoon in the company of their cats Maan, Tiny, Eleonore, Dilla, Rosie, Horus, and Donnie. 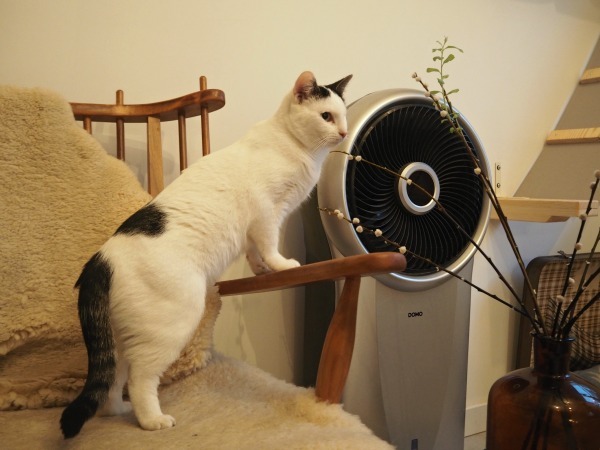 Donnie had arrived at the cat café only one day before but was already feeling at home. 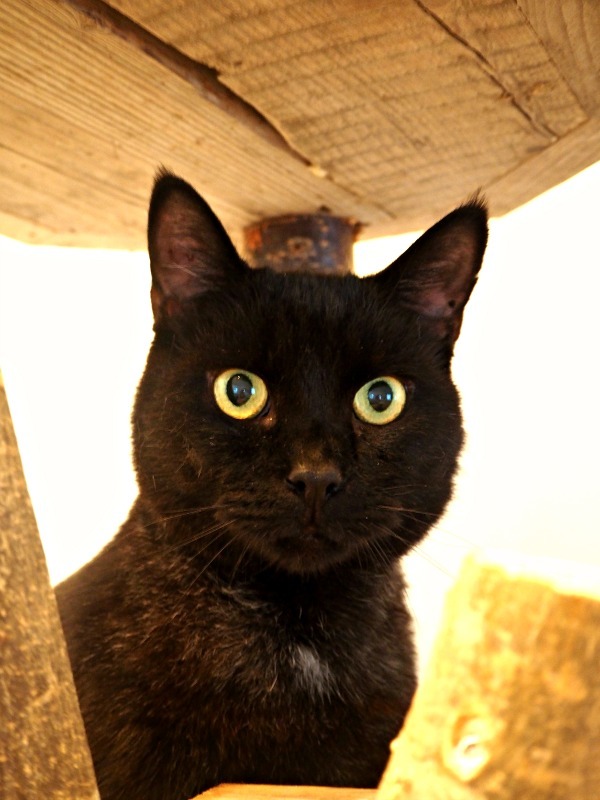 No wonder, because Kopjes is a paradise for cats as there are plenty of climbing shelves, scratching posts, cat towers, cat beds, water fountains, catnip plants, and cat toys. It's definitely an upgrade for these former shelter cats. But most of all: they love to cuddle. 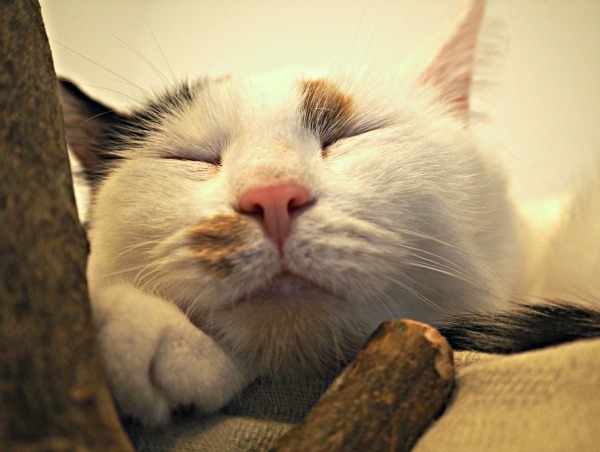 Don't be surprised if one of the cats choses you and remains by your side during your entire visit. 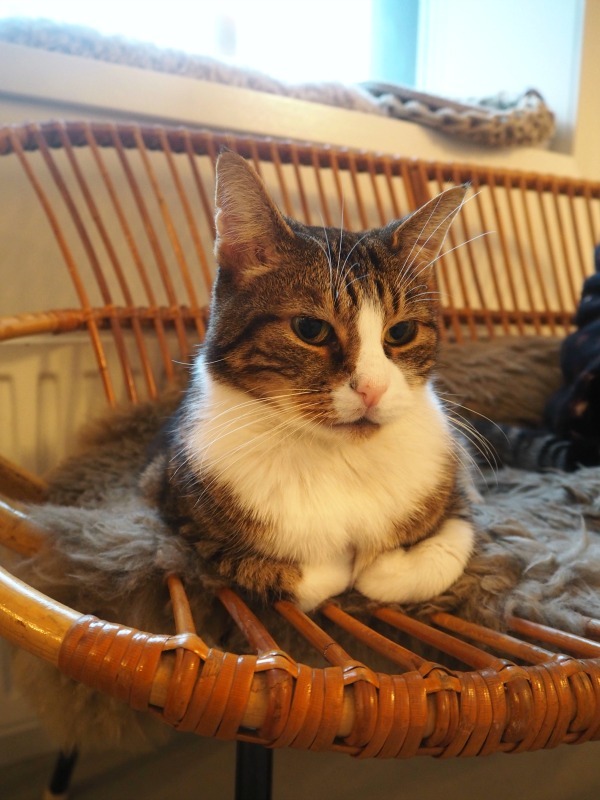 Cat café Kopjes has a large selection of desserts, lunch options, and hot/cold drinks. I opted for the rye bread with home-made hummus and a ginormous glass of coconut water. Really delicious. 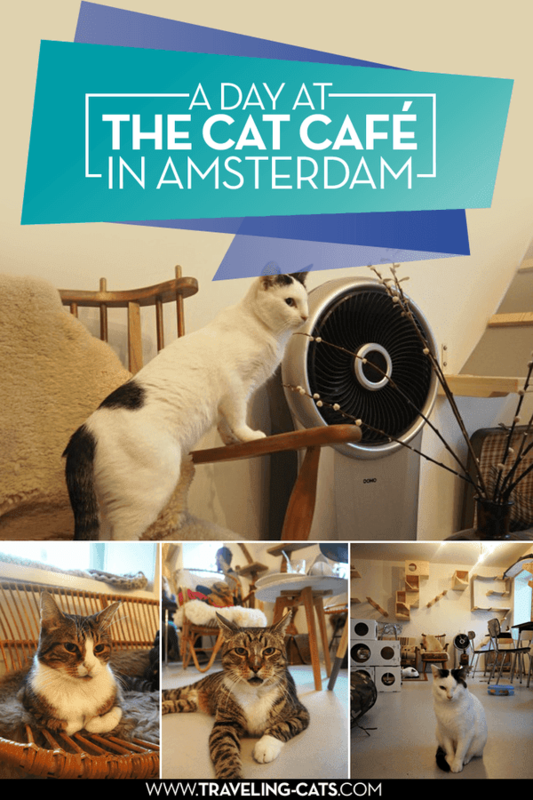 How to behave in the cat café? 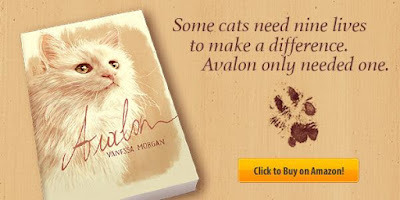 * Supervize your children to make sure their behavior with the cats is not too rough. You can visit Kopjes from Wednesday till Sunday from 10 am till 7 pm. 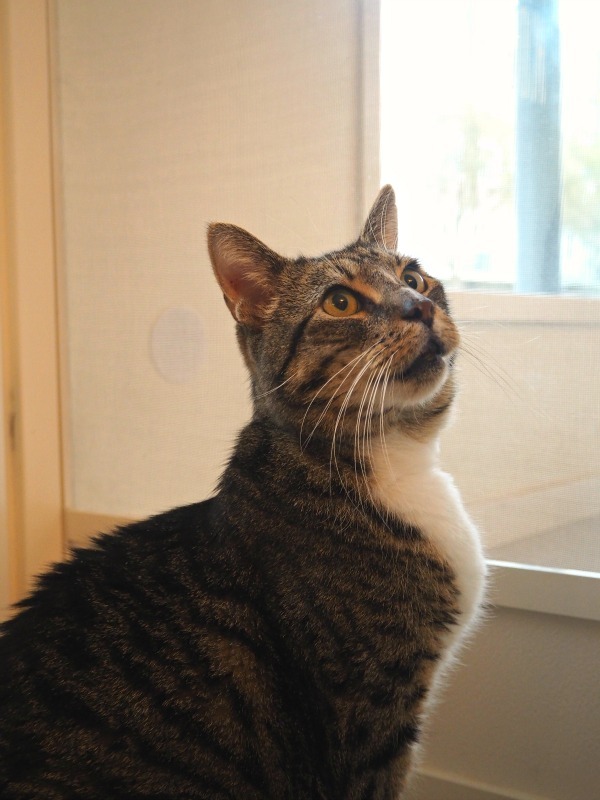 Reserve a spot beforehand because there's only place for 20 cat lovers. 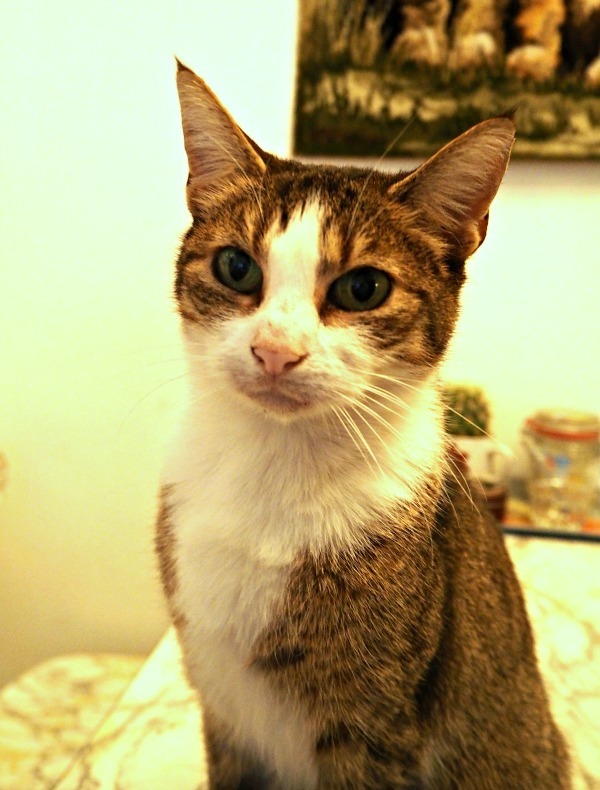 The entrance fee is 3 euros which gives access to the cat café for two hours. Address: Marco Polostraat 211, Amsterdam. Tip: Kopjes is far from the center of Amsterdam and can impossibly be reached by foot. You're advised to take tram 13 near the Central Station into the direction of Geuzenveld. It's more or less a fifteen minutes ride, but so worth it. Cat lovers with leave the place with a big smile. 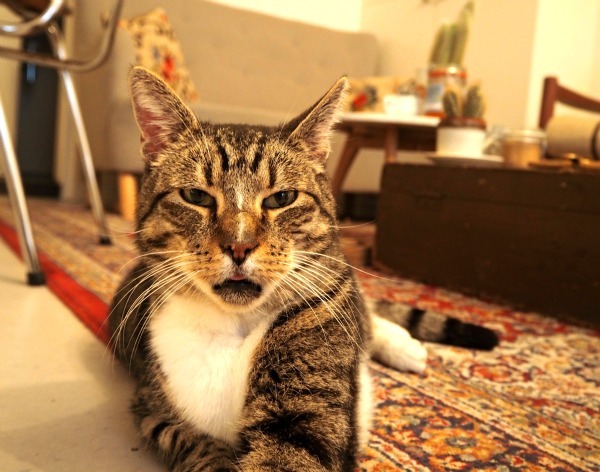 I think these cat cafes are great, and I like their rules! Everyone should be kind and gentle. Beautiful cats! 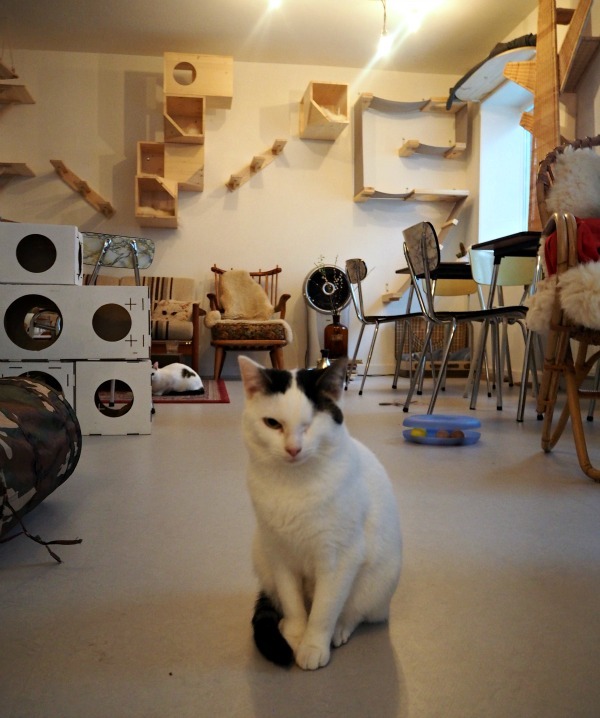 What a great place, a Cat Cafe, pawsome! Love it! 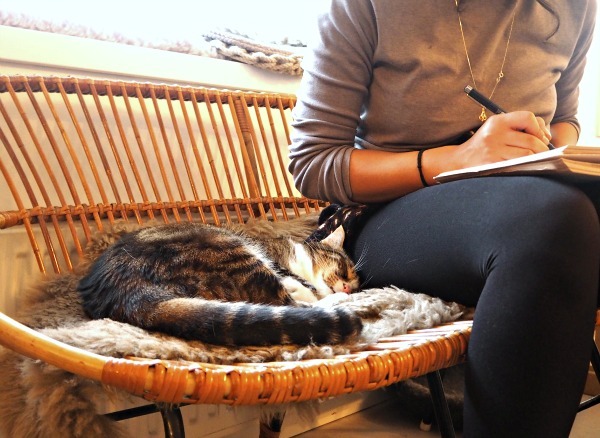 There should be more of these cat cafes around the world. There's one in Melbourne, Sydney and another one opening in Perth soon. 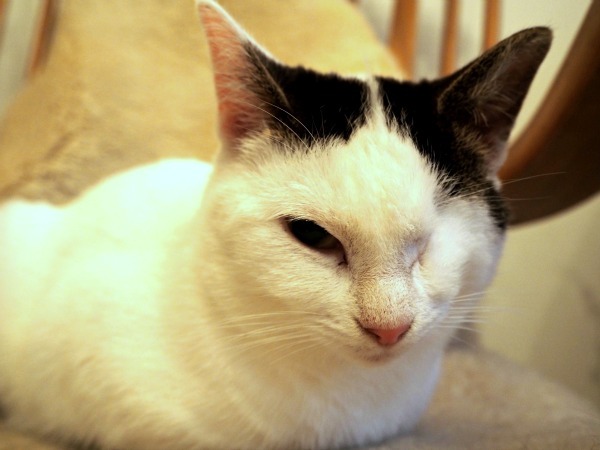 Wonderful that the one eyed cat was rescued, I'm sure he would have difficulty being adopted. 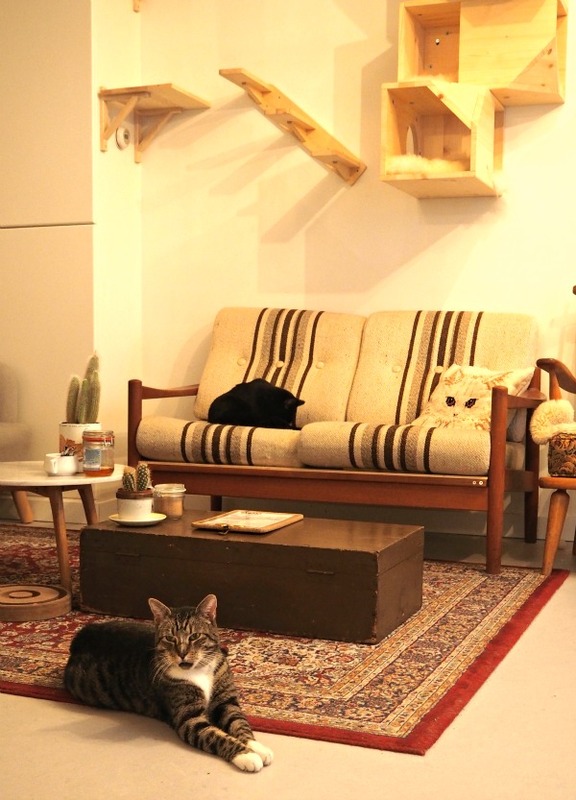 I'd love to go to a cat cafe someday. Our health regulations prevent them from opening here in Canada. Those cats are beautiful. 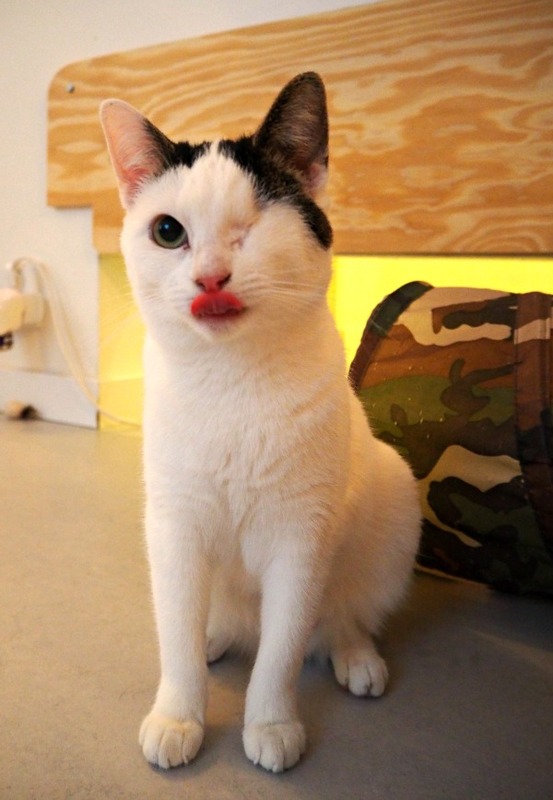 I feel bad for that little guy missing an eye, poor baby. 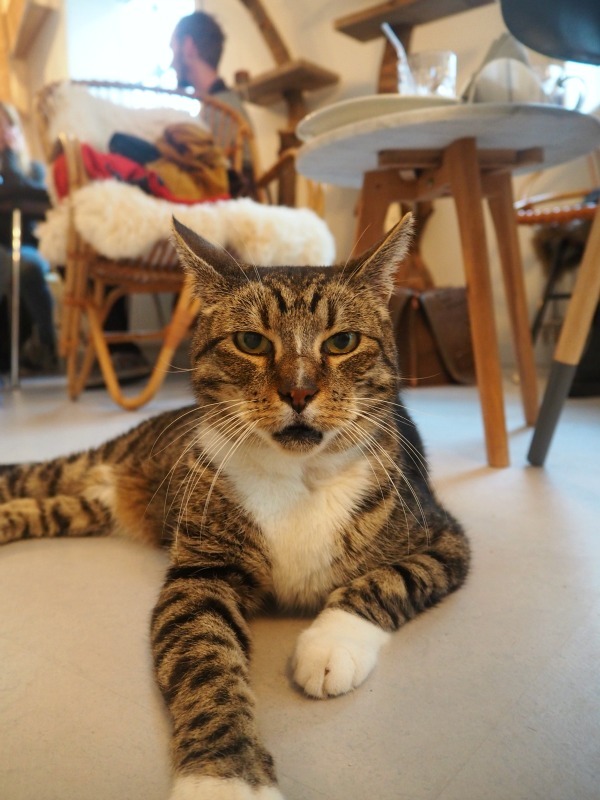 I would love to visit a cat cafe, but I don't think we have anything like that out here in the US. Thanks for linking up. Have a great week! With 4 cats, we have our own small cat cafe. I think it's a wonderful idea. Glad you shared. 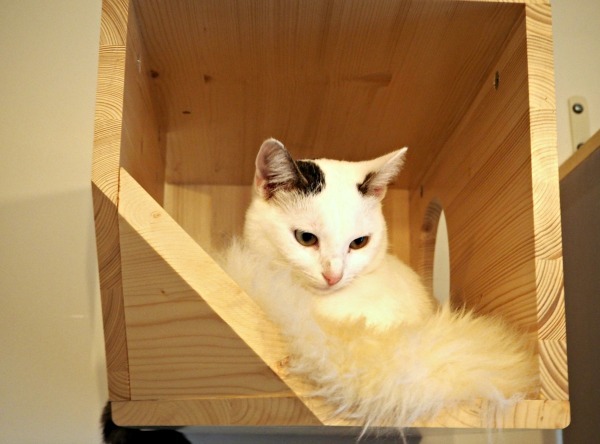 What beautiful photos from the cat cafe! 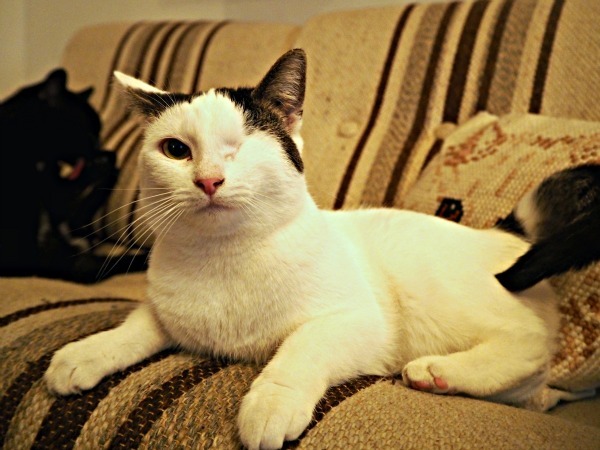 We love that they have a one-eyed cat, especially... representation of differently-abled cats is so important! They're so pretty, although the one-eyed one makes me sad. I have a soft spot for injured pets. As a cat lover/owner i have to congratulate you in choosing cats for you photo targets. A wonderful collection of snaps. Beautiful kitties! I also love the ingenious climbers and sleeping houses for them. So cute! I so wish that someone would open a cat cafe near me! These look like such neat places. I like that they have rules for the cats - like don't feed them, don't pick them up, etc. Everyone should respect the kitties! Such a fun place and a fun name too! Adorable photos. I wish I could go there! Looks like a fun cafe! I love cat cafes, I am glad there are getting to be more everywhere. All such cuties. The cats look so content and happy. If I ever get to Amsterdam, I'll need to look up the cafe, it sounds wonderful. I need to see if there are any local. 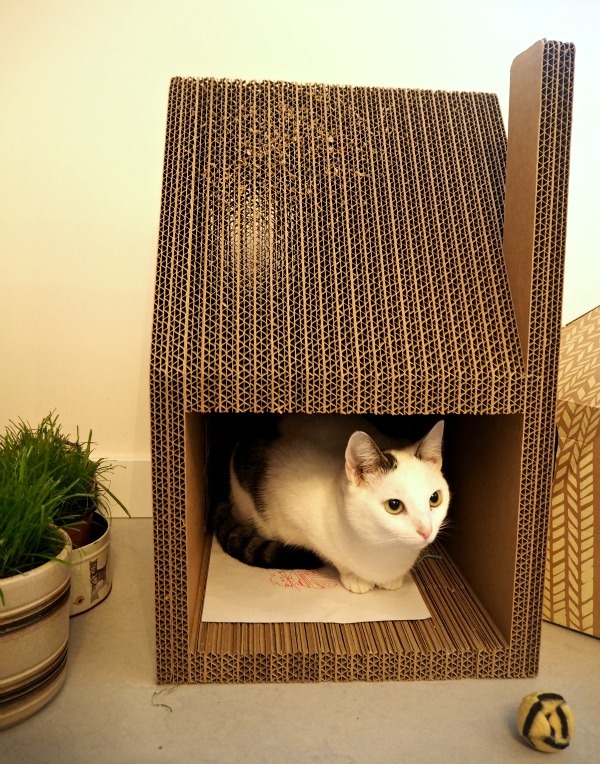 I so love this idea of cat cafes! I've told my husband that after our current kitty passes, I don't want another cat - I'm the one who gets stuck caring for her and I'd like a break...but I'll miss the kitteh snuggles. I'm going to have to find a cat cafe to get my fix! Thank you for sharing with us again this week at Photo Friday! Hello, what a neat cafe! The kitties look happy there, very relaxed. Wonderful photos! Thank you for linking up and sharing your post. Have a happy weekend! What a wonderful idea for a cafe. I would love to visit and indulge my secret cat fascination. Secret because my family won't have a cat on the property because they kill the little native birds and lizards. I do love them tho. What a totally cool place. Love it! the cats are al lovely. 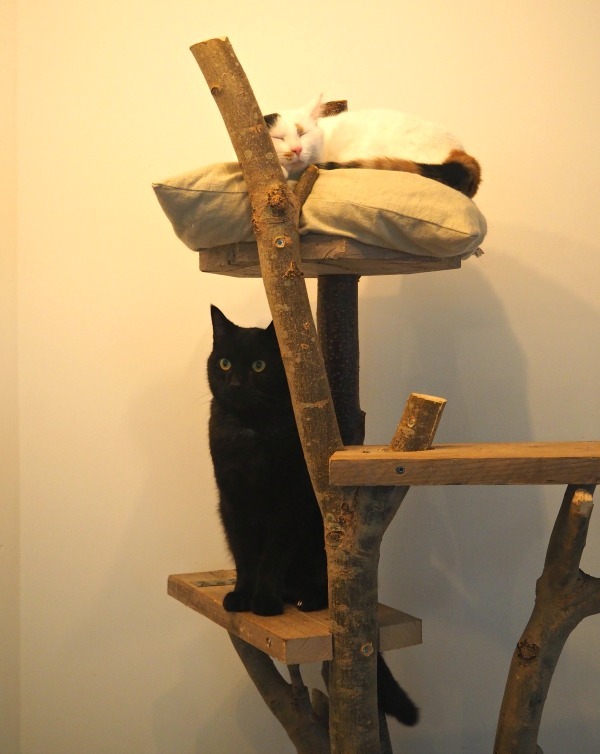 I absolutely love this idea to open up a cat café! That is so awesome. All these beautiful cats are so cute and I'd love to go out for coffee, meet friends and cuddle up with these lovely kitties. I hope my husband and I will get to visit Amsterdam some time soon - this café will definitely be on our list of places to visit :) Have a wonderful weekend! 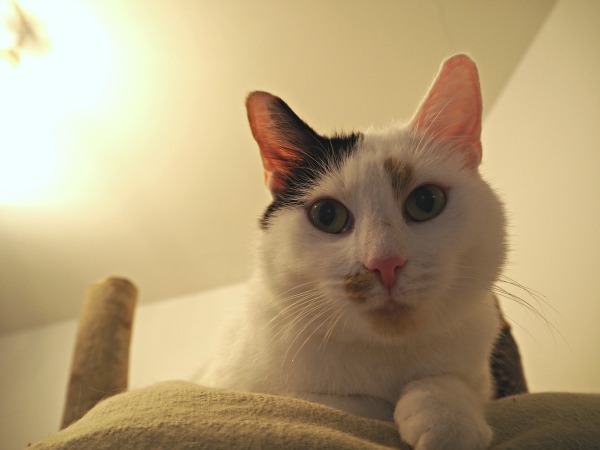 Love the Cat cafe -- Thanks for linking up to Pin Worthy Wednesday, I have pinned your post to the Pin Worthy Wednesday Pinterest Board. I just love this! The cats all look so content. This post will be featured at this week's blog hop at My Flagstaff Home.